The research team tagged a tiger shark in Grand Cayman on 4th December 2010. We called her Tina. At 10.5 ft Tina was thought to be around 8 years old. Tina was one of our first tiger sharks to be tagged. She was a lovely shark, and with electronic tags we tracked her movements from December 2010. Over the study period she traveled far distances, returning twice to Cayman. Tina the tiger became the ambassador for our children’s programme to bring awareness to kids about sharks and what fabulous and unique animals they are. 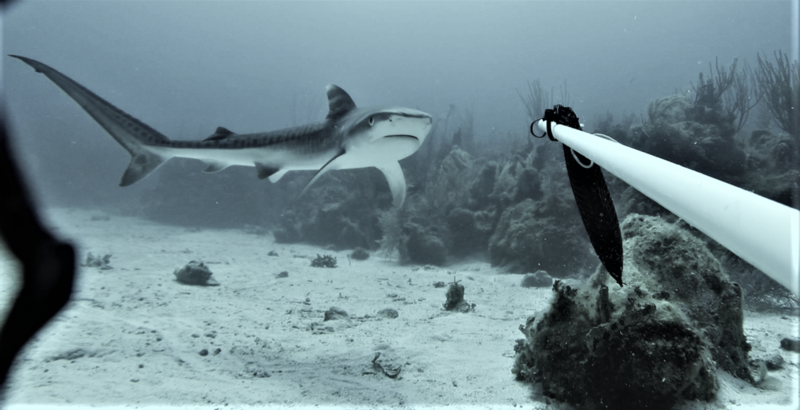 While tiger sharks are large and predatory, they can also be curious about people in the water and do not always display aggressive behaviour as normally portrayed. Tiger sharks get their name from the pretty striped pattern on their body, and rays and turtles are Tina's favourite food, of which she finds lots in Cayman waters.